Part of the One Walsall offer to local groups working in the community is to support them to bring in much needed resources to the sector. For example the voluntary sector has worked together with the Police in promoting their Active Citizens Fund. A World Café style meeting was held in February which resulted in three groups (All Saints Church in Darlaston, Boaters Fishing Club in Willenhall and Frank F Harrison Community Centre – for delivery of youth work at The Loft Youth Club in New Invention) securing funding of around £5,000 each. Also recently promoted was an opportunity for the voluntary sector to work with others to submit a bid to the Home Office for funding to help combat knife crime. As a result over 15 groups were represented at a meeting to discuss the opportunity and a bid was submitted with at least 6 partners named within the bid. 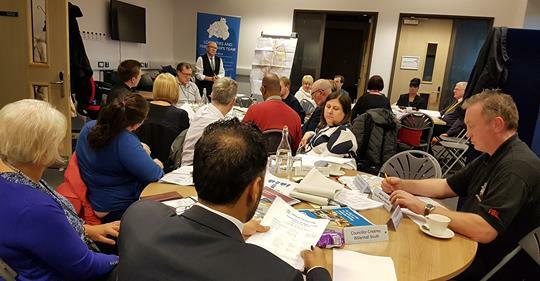 These are examples of the support being given by One Walsall to the sector which will be discussed at the Forum along with other opportunities for helping voluntary groups in the West Locality. If you want to be part of this growing network and help shape future work please come along. The more groups involved the stronger the network will be and the greater the impact. Look forward to seeing you at the forum.